Old Cabouchon Ruby Gate Bracelet [SH5760] - £495.00 : loveVintageDiamonds.com, Your Vintage Diamond Dreams Come True! 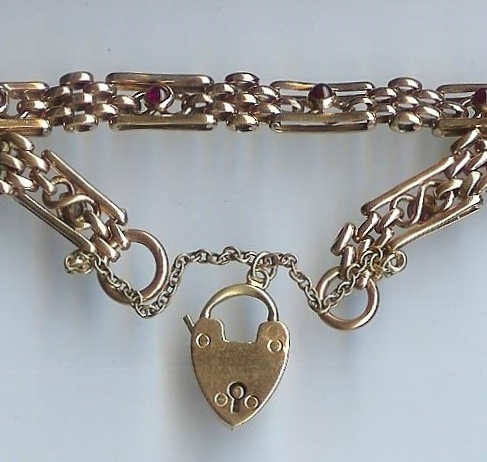 This old gate bracelet has a cabouchon ruby set into each section, 8 in total. 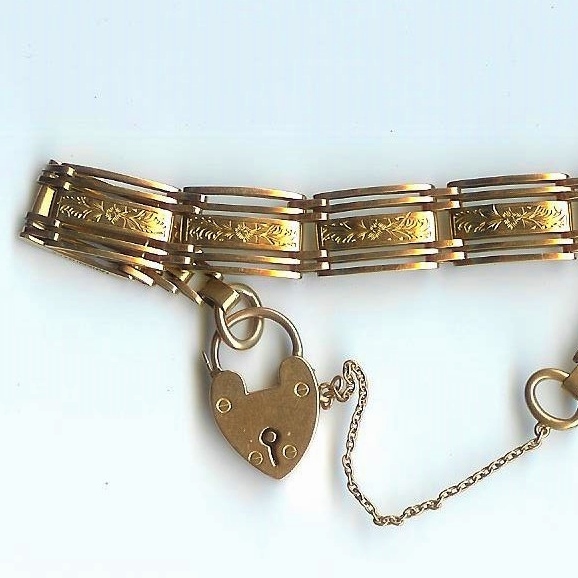 The bracelet measures approximately 7.5 inches in length and has a padlock clasp plus safety chain in addition. It is a yellow/ rose gold colour and the padlock is marked as being 9ct gold.